Vom 16.12.2016 bis zum 17.12.2016 wurden 20 Knowledgebase Artikel veröffentlicht. 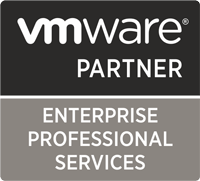 This article provides steps to install or upgrade VMware Tools for existing VMware ESXi hosts to the latest version of VMware Tools. This article provides steps to migrate VMware vCloud Director (vCD) SQL database to another server. In the SDDC Manager client’s login screen, after you enter your credentials and click Login, sometimes a browser pop-up window displays with an error message:ApiError: Service init error code: INVALID_SESSION_IDExample:Even though the client logs you in successfully and you can manually close the pop-up window, this symptom repeats each time you log in to the SDDC Manager client’s login screen. Upgrading to vCenter Server Appliance 6.5 fails before the export phase.In the /opt/vmware/share/vami/vami_get_network log file, you see entries similar to:/opt/vmware/share/vami/vami_get_network: error while loading shared libraries: libvami-common.so: cannot open shared object file: No such file or directory. file, you see entries similar to: java.lang.NumberFormatException: For input string: „Unlimited“ Note: The preceding log excerpts are only examples. Dates, times, and environmental variables may vary depending on your environment. With Horizon Client 4.3 for Chrome OS, users cannot share local folders and drives with remote desktops because the client drive redirection (CDR) feature is disabled in the 4.3 release. This article provides the general steps to follow when your windows virtual machine’s network connection is significantly slower than expected. Note: When your virtual machine’s network connection is not working, see Troubleshooting networking and internet connection issues in VMware Fusion (1016466). This article provides information for enabling the config option vmxnet3FlapThrottleRate to throttle the number of port enable/disable events from vmxnet3 backend.